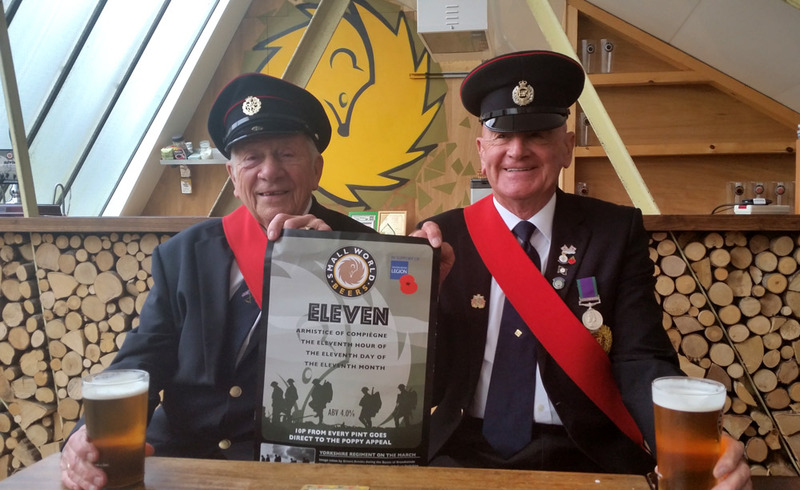 In build up to Remembrance Day we’re launching Eleven to support our chosen charity, the Poppy Appeal. 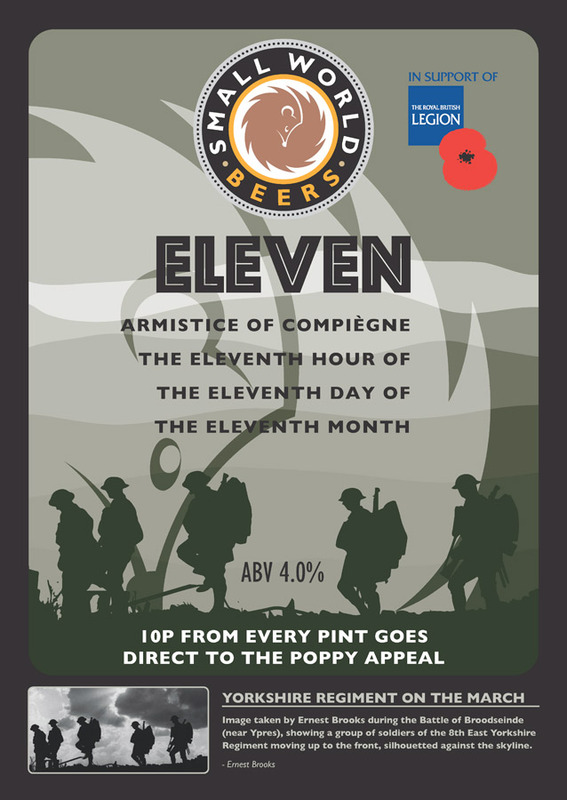 The beer is so named to commemorate the signing of the Armistice and ultimately the end of the First World War, as hostilities formally ended in 1918 on the eleventh hour of the eleventh day of the eleventh month. Warrior hops are our chosen bittering hops, that give a mild and stable base for our main hops, whole flower Cascade and then dry hopped with Equinox (HBC366), a new world hop from a collaboration between Select Botanicals Group and John I. Hass Inc , a grower and producer of hops originally founded in 1914. 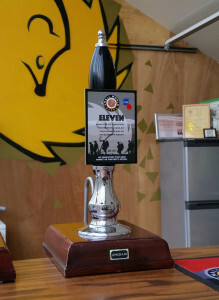 Pale and Hoppy, light and golden in colour, Eleven is fruity, tropical and slightly spicy, the beer packs a punch. When it came to the artwork by Owen Phillips he did a great job and we were lucky to be using the image we wanted, a well-known photograph by Ernest Brooks, a stunning image showing 5 soldiers of the 8th East Yorkshire Regiment moving up to the front line on 4th October 1917 during the Battle of Broodsiende, this became the most successful Allied attack during the battle of Passchendaele which lasted for the best part of 6 months during 1917. The photograph is all the more poignant for the image of Yorkshire troops moving up to the front line 98 years ago. 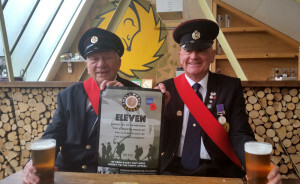 Down at the brewery Raymond and Alastair of the Huddersfield & District Army Veterans Association enjoying a pint of Eleven at the source.